Quite often I come across words in the books I read that I don't know (or have shamefully forgotten), particularly in works that would be classed as modern or classic literature. 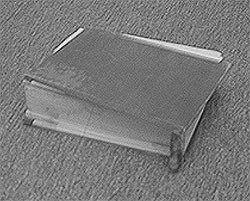 Fortunately, I have never had to search for a good dictionary as a friend left a very battered copy of "The Concise Oxford Dictionary" in my flat when I lived alone in Bangkok. I acquired this dictionary in 1999 or early 2000 and it has been a loyal servant ever since - only once did I come across a word that I couldn't find in it and the dictionary perhaps became most useful when I read Tom Jones by Henry Fielding which uses an unusually wide vocabulary. Some of my favourite words and terms that came from Tom Jones and that I found in my bashed up old dictionary are niminy-piminy, rodomontade, ipse dixit and zeugma. This old dictionary continues to serve me well and is always beside me when I read: it will most certainly be coming with me when I move in a few months. Don't get a new dictionary, get an old one!